ST. PETERSBURG, Fla. March 21, 2019 – The number of travelers insuring their spring break trips is at an all-time high, increasing by 17% over last year, according to Squaremouth data. 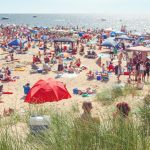 While travel insurance can certainly protect spring breaker’s trip investments in the event of an unforeseen emergency, it doesn’t cover every scenario. As spring breakers prepare for their vacations, Squaremouth explains 4 scenarios not covered by travel insurance. Many spring breakers pay for their trips with frequent flier miles or credit card points, but few know not to insure the value of the miles with a travel insurance policy. Most providers aren’t going to reimburse travelers for the value of the miles because it is not an out-of-pocket expense. However, many policies will cover taxes or rebanking fees associated with the miles. A record 107 million U.S. residents are expected to travel by air for spring break this year. Unfortunately, travel insurance does not cover missed flight due to security delays or heavy traffic. While most policies include benefits for travelers who miss a flight, the reason must be specifically covered by the policy. Common covered reasons include airline delays due to mechanical failure or inclement weather, lost or stolen passports, weather conditions and road closures that prevent you from getting to the airport, or a traffic accident. Many policies will exclude coverage for adventurous sports such as skydiving or bungee jumping, or even lower impact activities like kayaking, jet skiing and zip lining. More adventurous spring breakers should consider getting a policy with the Sports & Activities benefit that includes specific coverage for the activities they plan to participate in. It’s no secret that many spring breakers enjoy alcoholic beverages on vacation, but many don’t understand that ordering that second drink could nullify their travel insurance coverage. If a traveler needs emergency medical treatment while on their spring break trip, travel insurance can cover them, unless they’re intoxicated. If their medical notes indicate that they were drinking past the legal limit, their claim will be denied. If travelers decide their travel insurance doesn’t meet their needs, they may be able to get their money back. Many policies have a “free look” or Money Back Guarantee period, typically around 10-14 days, during which travelers can cancel for a full refund.